The following less common lung disorders can occur under specific environmental circumstances or as a result of another disease or an injury. You should watch for symptoms of these conditions if you are at risk. Adult respiratory distress syndrome (ARDS). This medical emergency often occurs within 24 to 48 hours after an acute respiratory illness or injury such as pneumonia, chest trauma, severe burns, near-drowning, or pulmonary embolism. The initial symptom is labored, shallow, rapid breathing. The skin may then turn blue due to lack of oxygen. ARDS usually occurs in a hospital setting and requires urgent attention including mechanical assistance to maintain breathing. Occupational lung disease. One type of occupational lung disease is black lung disease (anthracosis), which occurs among coal miners who have inhaled coal dust over the course of many years. Many other lung disorders can result from inhaling various substances (fumes or dusts) in the workplace. For example, silicosis, the oldest known occupational lung disease, results from repeated exposure to silica or quartz dust in occupations such as stone cutting, blasting, and mining. 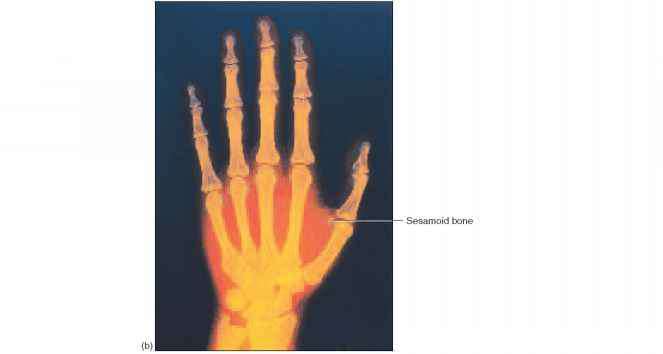 Berylliosis develops after exposure to beryllium, a metallic element used in the nuclear and aerospace industries and in the manufacture of electronics and chemicals. Irritant gases and fumes sometimes found in the workplace—including chlorine, phosgene, sulfur dioxide, hydrogen sulfide, nitrogen dioxide, and ammonia—can cause permanent damage to the respiratory system. Inhalation of asbestos fibers can lead to a chronic lung disease called asbestosis. Possible complications of asbestosis include lung cancer (see page 247), pleural effusion (see previous page), and respiratory failure (a condition in which there is too much carbon dioxide and too little oxygen in the blood). Typical symptoms of occupational lung disease include a chronic cough and shortness of breath. Measures to prevent occupational lung disease include the use of protective gear and clothing and the enforcement of dust control standards, along with regular screening tests. Since the 1970s, asbestos has been replaced by safer materials whenever possible. Hypersensitivity disease. This refers to allergic pulmonary disease that results from inhalation of organic dust or chemicals. Occupational exposure to potential allergens (substances that cause allergic responses) such as molds and dust from hay, birds, sugarcane, mushrooms, barley, malt, cheese, wheat flour, straw, sawdust, humidifiers, air conditioners, and a variety of chemical manufacturing processes can cause tumorlike granulomas to form inside the lungs. Once the lungs are sensitized to a specific allergen, the allergic response is rapid and severe. Symptoms include fever, chills, cough, shortness of breath, nausea, vomiting, and loss of appetite. The most effective treatment is to avoid all contact with the allergen, which will allow the granulomas to clear up on their own. If you are exposed to potential allergens at work, be sure to practice dust-control measures and wear appropriate protective gear such as a mask or a respirator. High-altitude pulmonary edema. If work or recreation takes you to high altitudes, watch for possible symptoms such as increasing shortness of breath, weakness, irregular heartbeat, rapid pulse, abnormal breathing sounds, dizziness, fatigue, and cough. Life-threatening high-altitude disorders can occur quickly after rapid ascents above 8,000 feet. Pulmonary embolism (see page 249) and pulmonary edema (fluid in the lungs) can occur if initial symptoms are ignored. The brain, heart, and muscles also can be affected by acute altitude sickness. A rapid descent to a lower altitude is the most effective treatment, but supplemental oxygen also should be used. To prevent this disorder, climbers should always make a gradual ascent, stop to rest at intermittent altitudes, and use supplemental oxygen as needed.